It’s that time of year! I feel like sweets pop up in my home pretty much year round but they’re extra prevalent during this season. 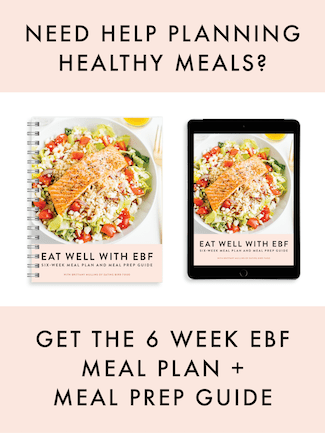 I’m all for treating myself and think that planning for healthy treats is actually a key part of staying on track. 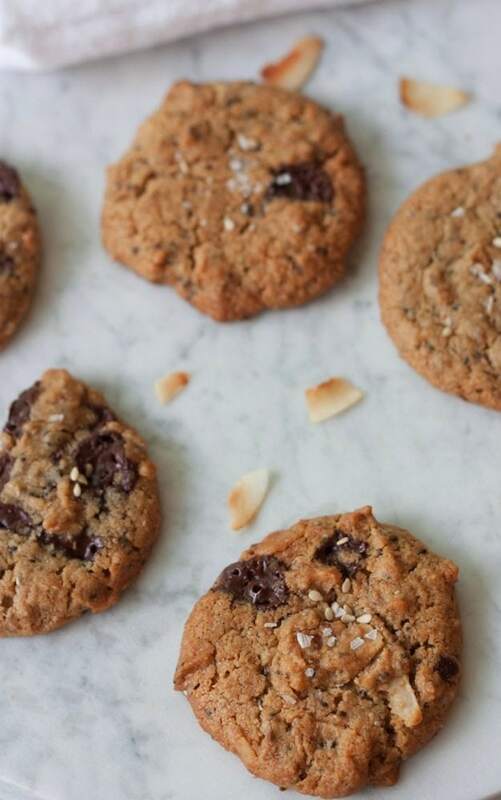 I wanted to round up some of my favorite cookie recipes that also happen to be healthy. There’s no reason to feel like you need to be rolled out of the room after dessert. I fully support dessert as part of a healthy lifestyle! 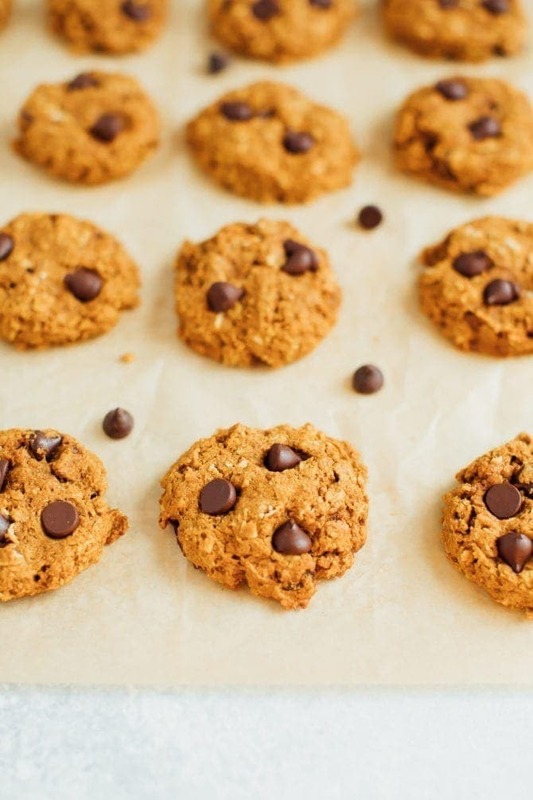 Pumpkin Chocolate Chip Cookies – These delicious pumpkin oatmeal chocolate chip cookies are healthy, vegan, gluten-free. Perfect for satisfying your pumpkin cravings! 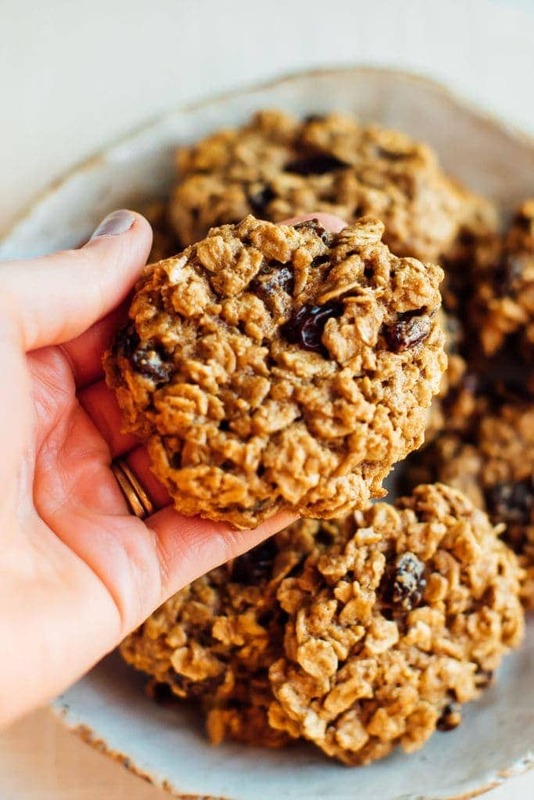 Chewy Oatmeal Raisin Cookies – Made with oats and oat flour, these chewy oatmeal raisin cookies contain no milk and are filled with cinnamon flavor. They are easy to whip up and are naturally gluten and dairy free and paleo friendly. 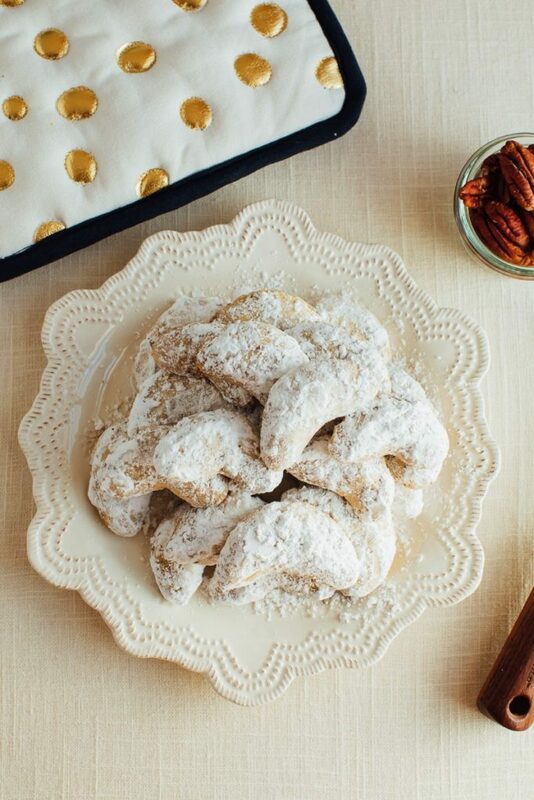 Almond Flour Crescent Cookies – These simple almond flour crescent cookies are a healthy take on my nanny’s signature crescent cookie recipe. Each cookie only has about 60 calories and 2 grams of sugar plus they’re gluten-free and easily made vegan! 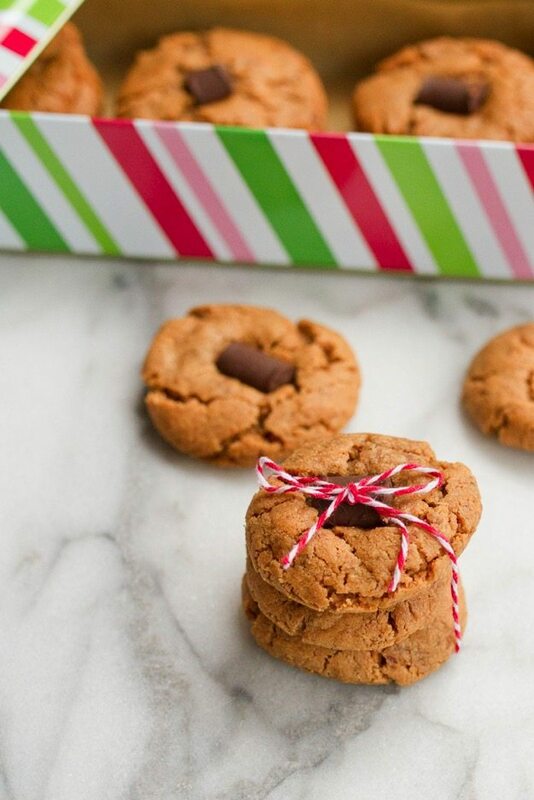 Peanut Butter Blossoms – With only six ingredients and about 15 minutes to whip up, these flourless vegan peanut butter blossoms are an easy addition to your holiday cookie tray! 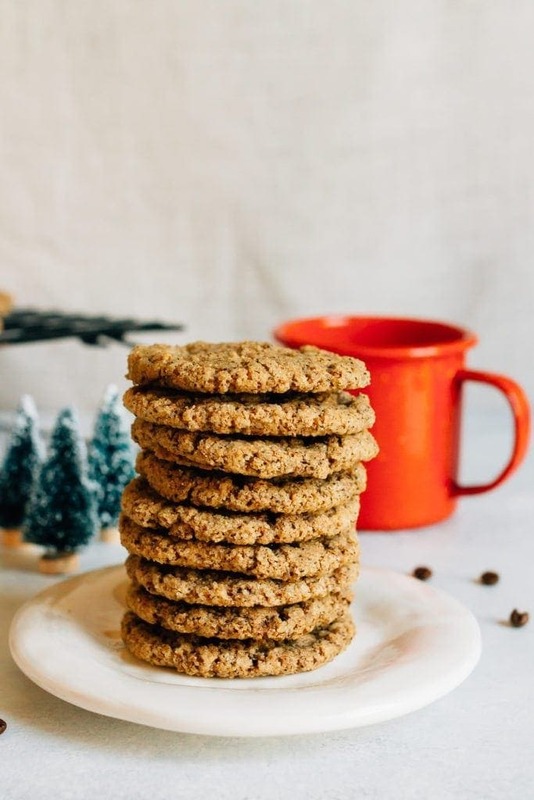 Almond Butter Espresso Cookies – Crunchy and chewy, these almond butter espresso cookies are made with one bowl and only six ingredients. Plus, they’re flourless, vegan and gluten-free! 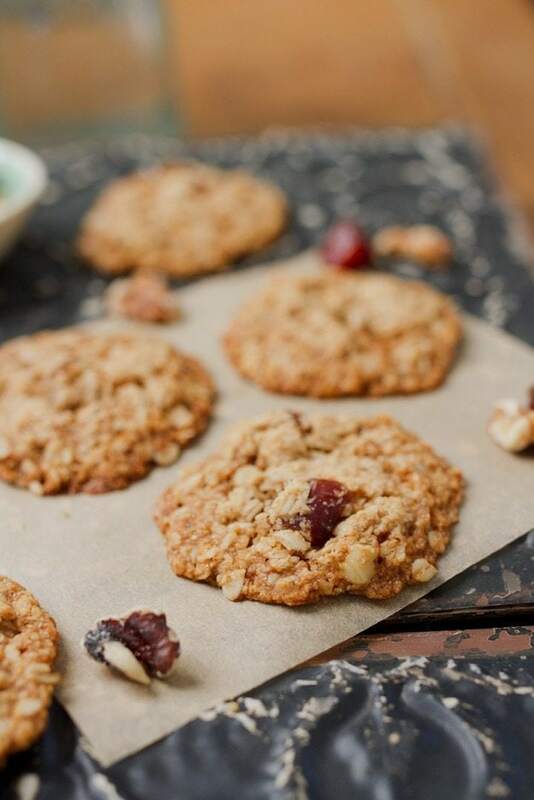 Oatmeal Date Cookies – These delicious oatmeal cookies are studded with dates and have the perfect texture — crispy edges with a a soft and chewy center! Bonus points: they’re vegan and gluten-free! 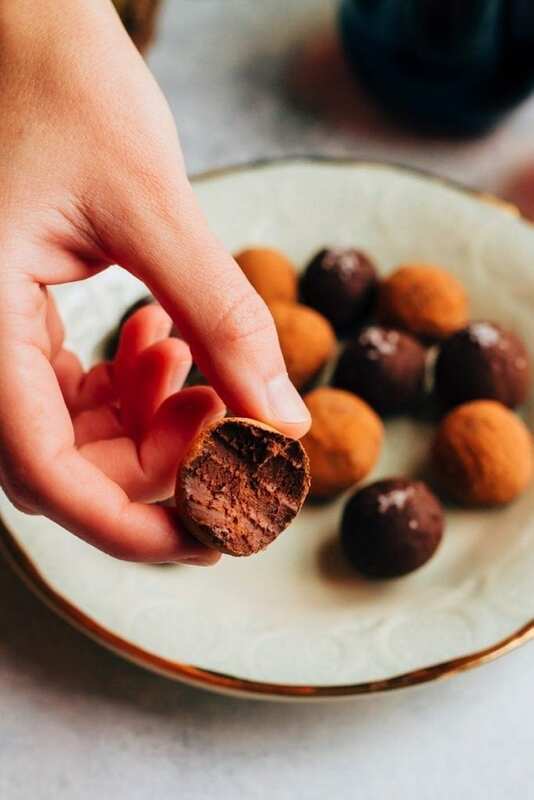 Chocolate Avocado Truffles – No one will never guess these decadent 4-ingredient chocolate avocado truffles are made with avocado instead of heavy cream. As long as you use dairy-free chocolate chips, these creamy truffles are gluten-free and vegan! 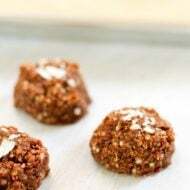 No Bake Almond Cookies – Made with raw almonds, almond butter, dates and cacao nibs, these mini no bake cookies have the texture of cookie dough and a sweet and nutty flavor. 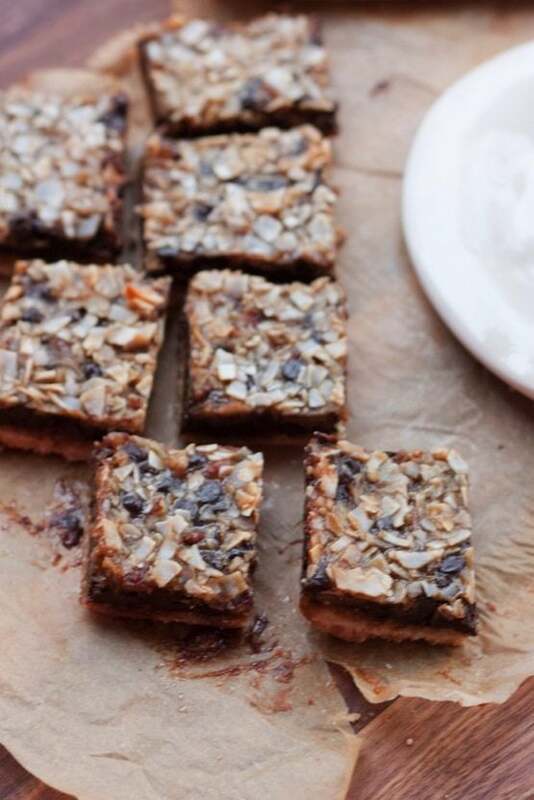 They’re gluten-free, vegan and free of refined sugar! 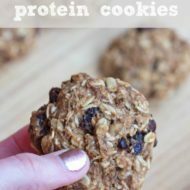 Peanut Butter Oatmeal Chocolate Chip Cookies – These gluten-free peanut butter chocolate chip cookies are sweet without being over the top sweet. They have an amazing peanut butter flavor and a little bit of crunch from the unsweetened coconut. 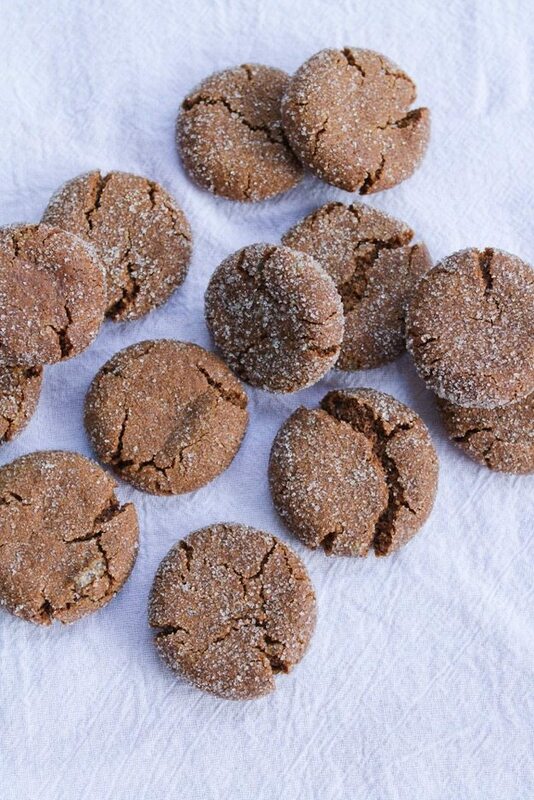 Quinoa Gingersnap Cookies – Gluten-free, vegan gingersnap cookies made with quinoa flour! They’re crunchy on the outside, chewy on the inside and absolutely delicious! 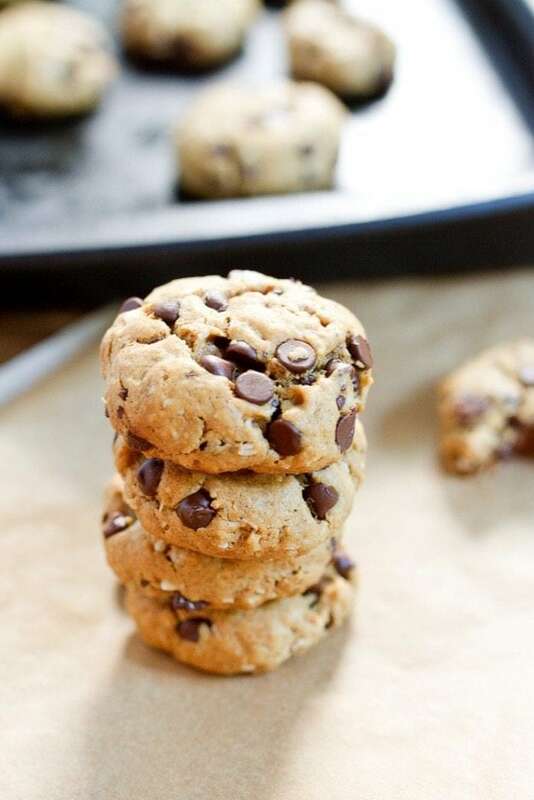 Chocolate Chip Tahini Cookies – Chocolate chip tahini cookies with tiny little super seeds that pack a nutritional punch! 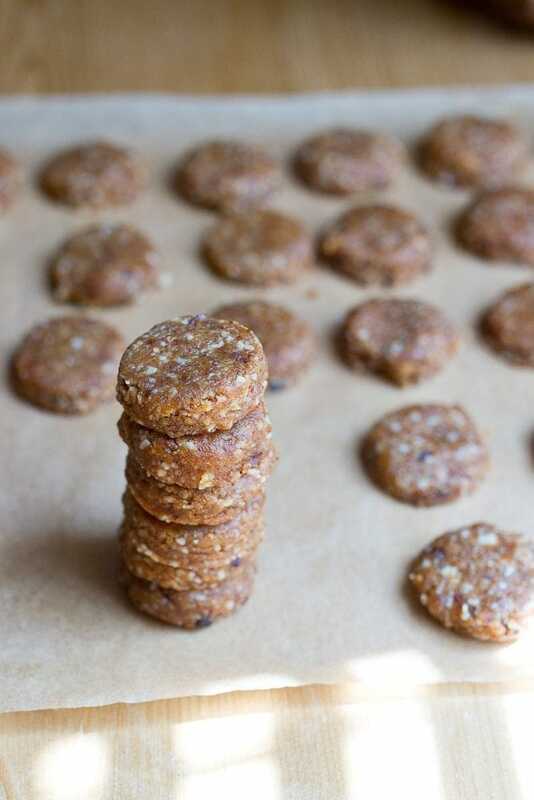 These crunchy cookies have lots of fiber, healthy fats and protein, plus they’re vegan & gluten-free! I’d like to enjoy these goodies year round! Thank you for this! Can’t wait to try the pumpkin chocolate chip– love that grain free and of course anything with pumpkin and chocolate is heaven in my mouth! Great list. I need to get a cookie swap going asap. I will definitely try some of these out! I want to have a christmas cookie baking party and just make many different kinds!!! OMG thanks so much for including my cookies in your lovely roundup. What a nice surprise 😉 I’d like to have one of each of these! You’re so welcome Beth. I love your blog! Just recently made your pumpkin spice almond butter fudge — so good! I definitely need to whip up a batch of healthy cookies when I head home for Christmas tomorrow! THANK YOU. 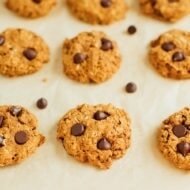 This list is amazing, and this is the perfect time for healthy cookie recipes!!! Can’t wait to try some! All of these look so amazing! Never too many cookies.